We talk with Vanity Fair writer Michael Joseph Gross, about his big new — and controversial — profile of Tea Party powerbroker Sarah Palin. Plus, a new gospel of thrift, from a young megachurch leader. Sarah Palin’s tweets - on Twitter - and her Facebook-posted political endorsements don’t always mean victory for the candidates she supports. But they’re nothing to be sniffed at. She’s got sway, and an avid following. She’s also got deep detractors. A controversial new Vanity Fair story quotes them – anonymously – dishing dirt. 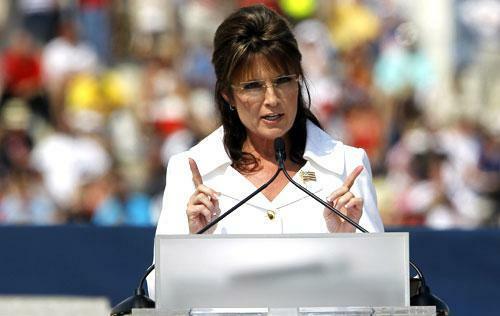 We hear today from the author, and look at Palin’s power and its pushback. Plus, we hear from a mega-church evangelical leader who’s preaching against the gospel of wealth. Alexander Burns, deputy political editor for Politico. Michael Joseph Gross, contributing writer for Vanity Fair. His new article is "Sarah Palin: The Sound and the Fury." Guest: Pastor David Platt, head of The Church at Brook Hills in Birmingham, Alabama. His new book is “Radical: Taking Back Your Faith From the American Dream." You can read an excerpt. This program aired on September 8, 2010.